There is plenty of competition, so you don't need to worry too much about getting the very cheapest quote. What you do need to worry about is getting a company that is legal, insured and reputable. You need to look for a federal license number, which ought to be prominent in the marketing material, and for details of their insurance coverage - you might have to ask for these. The biggest choice you will have to make is whether you want a closed or open trailer. Most of the time, it makes sense to go for the closed trailer option, as your bike will be better protected against theft and the elements. It does mean, however, that your bike will be travelling in a large trailer with other motorcycles, towed by a truck which will make several stops. If you need your bike urgently, particularly if you're having it shipped to somewhere out of the way, then you might consider having it on an open trailer. If the journey is more than a couple of hundred miles, the closed trailer is really the only practical option. 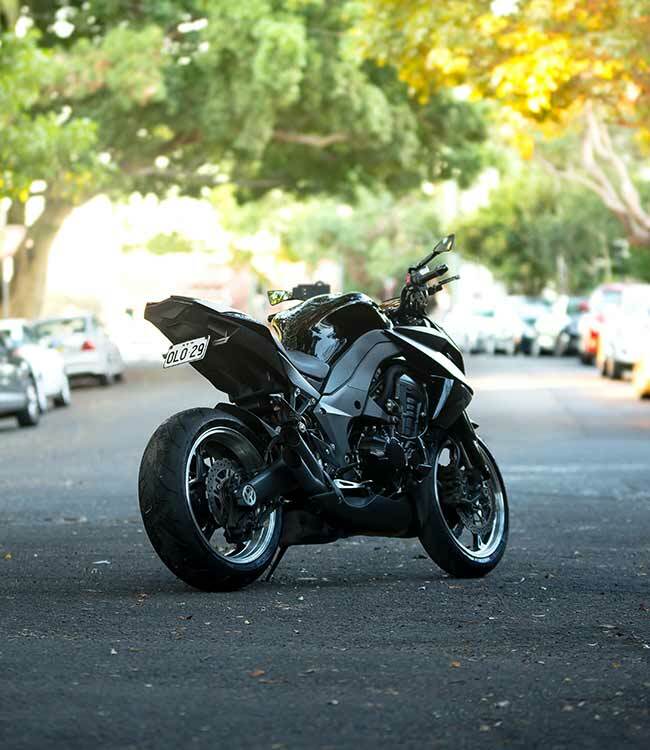 You will need to thoroughly clean the motorcycle for transport, and then take pictures of it from all angles, making notes of any scratches and dents. This will reduce the potential for disagreements in case it receives any bumps in transit. If you're using a specialist motorcycle transport company, you don't need to drain the gas tank or disconnect the battery as you would with a normal freight company. In fact, since the movers may need to ride your bike to get it on and off trailers, you need to inform them if the tires aren't inflated or if there's a mechanical fault that means it shouldn't be ridden. Unless you have selected a "door-to-door" option, which is typically more expensive, your motorcycle shippers will need you to bring the bike to them. Depending on your transporter, and whether you have selected an open or closed trailer, you might need to bring it to them as many as ten days before you want it to arrive, although it is possible to arrange more expedited shipping if you are in a hurry. Pick-up arrangements should be reasonably simple, but make sure that you get them explained to you at the start of the process, particularly if the bike has been shipped across borders. A quick phone call on the day of arrival makes sense to confirm with the motorcycle transporters that things have gone smoothly and to agree on a pick-up time. That's it! Motorcycles aren't the easiest things in the world to ship, but with a bit of common sense it doesn't have to be a nightmare. And it's a lot easier than riding it there yourself!